O2 has confirmed that it did put the HTC Desire Android 2.2 update live and ready for users to download - but has had to halt updates. TechRadar broke the news of the upgrade appearing this morning, and contacted O2 to verify the OTA upgrade was genuine. 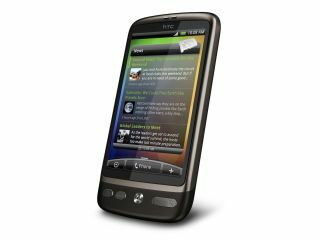 "The Android 2.2 Froyo update for HTC Desire went live on O2 this morning," an O2 spokesperson told TechRadar. "While many have been able to download it successfully, we have had a small number of reports of customers having problems installing the software, which we are looking into." However, O2 has also confirmed it will be suspending the update until it can get to the bottom of the reports of freezing - so you won't be able to download it just yet. On the O2 forums, a number of users have experienced issues with the install; most appear to be freezing phones, where the handset will stay on the O2 loading screen indefinitely. Others are reporting that certain websites will crash the browser - although most users appear to be experiencing a clean install.